Heads of state, celebrities, athletes, and activists dedicated to saving the lives of young people. Our global ambassadors are dedicated to providing effective health education for today’s generation. They are directly invested in the design, production, and distribution of our initiatives. We are honored to have their support. Thought-leaders helping to redefine health education for today’s generation. We collaborate with our 250+ partners including NGOs, institutions, governments, hospitals, and media outlets to design and distribute our products for free around the world. 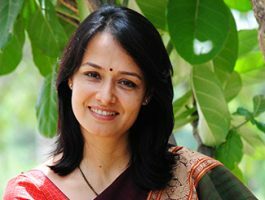 Amala Akkineni is a renowned Indian film actress and social activist. Having starred in 50+ films before the age of 25, she left the film industry at the peak of her career to devote herself full-time to the betterment of society, co-founding the reputable animal welfare NGO Blue Cross of Hyderabad. She is also on the Board of Green Peace India and an Ambassador for both Al Gore’s The Climate Project – India and UNICEF – India. In 2012, she briefly returned to the screen in Life is Beautiful, for which she received critical acclaim and popular awards, including CineMAA Award for Best Outstanding Actress and Filmfare Awards South for Best Supporting Actress. She is a Trustee for TeachAids India Trust. Nagarjuna Akkineni, having starred in over 75 films, is one of the most prominent actors, directors, and producers in the Telugu film industry, with an audience of 75 million people. Through the National Film Awards, Nandi Awards, and Filmfare Awards, Akkineni has been honored for his artistic excellence by the Indian government, film critics, and the general public. Always promoting quality cinema with fresh entertainment, Akkineni has set precedents that have won him a permanent place in the hearts of millions. He is an Advisor and Ambassador for TeachAids and donated his voice as the male doctor in the Telugu TeachAids HIV/AIDS animations. 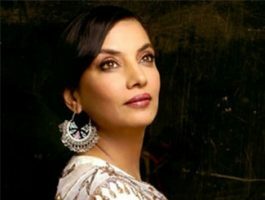 Shabhana Azmi is a former member of India’s Parliament and one of South Asia’s most renowned actresses. She has played a role in more than 100 films and is a four-time winner of the Filmfare Best Actress Award. Outside of acting, Azmi has been awarded the Gandhi International Peace Award, the World Economic Forum’s Crystal Award, and the Padma Shri from the Indian government. She is a member of the National AIDS Commission of India, is a UN Goodwill Ambassador, and was nominated as a member of the Rajya Sabha in 1997. Azmi donated her voice as the female doctor in the Indian English, Hindi and Urdu TeachAids animations. 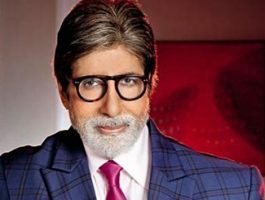 Amitabh Bachchan is one of the most celebrated actors in the history of Indian cinema. He has garnered numerous distinctions including three National Film Awards as Best Actor, fourteen Filmfare Awards, and the prestigious Padma Bhushan for his contributions to the arts. His notable films include Zanjeer, Deewar, Sholay, Kabhi Kabhie, Don, Silsila, and countless others. He is also the iconic host of the nationally syndicated Kaun Banega Crorepati (the Hindi version of Who Wants to Be a Millionaire). He is a Goodwill Ambassador for Polio on behalf of the United Nations Children’s Fund. Mr. Bachchan donated his talents as the male doctor in the English and Hindi versions of the TeachAids animations. Game Goabaone Batsi, better known by his hip-hop stage name Zeus, is the winner of the coveted Channel O Music Video Award and one of the most talented hip-hop artists in Botswana. He founded his own recording company, D.I.Y. Entertainment, through which he released the popular album Freshly Baked, which was nominated for the 2008 Album of the Year at the MTN-HYPE Magazine Hip Hop Awards. Zeus supports a number of social ventures, including Youth Health Organization (YOHO), a PEPFAR-supported program dedicated to reducing new HIV infections among youth. Zeus donated his voice to the role of the male student in the Botswana English and Setswana TeachAids animations. 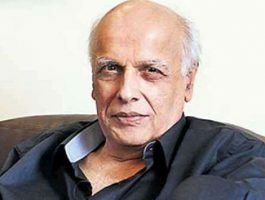 Mahesh Bhatt is a prominent film director, producer, and screenwriter. 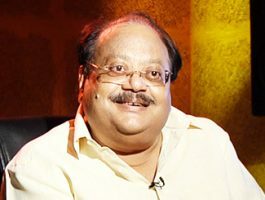 Winner of the National Film Award, the most prestigious film award in India, Bhatt is known for his unconventional style of filmmaking and his unique depiction of subjects, which reflect many of his experiences in life. Along with producing and directing hit Bollywood movies, he is responsible for launching widely known actors and musicians including Anupam Kher, Sushmita Sen, and more recently, Kangana Ranaut. He also found spiritual companionship and guidance with philosopher U.G. Krishnamurti, who Bhatt wrote about in two books, U.G. Krishnamurti: A Life and A Taste of Life: The Last Days of U.G. Krishnamurti. He is an Advisor and Ambassador for TeachAids. Kopil Bora, the multitalented actor and director, is an icon in Assamese cinema, theater, and television. Bora is also a committed stage actor and has acted in more than 50 plays under several eminent directors. He also makes frequent appearances on television, both as a regular actor on several TV series and as the host of popular shows such as Voice of Assam, Spelling Genius, and Axom Idol. Bora maintains a credible reputation in radio as well, serving as a voice artist of AIR (All India Radio). Kopil Bora plays the character of the male student in the Assamese version of the TeachAids animations. 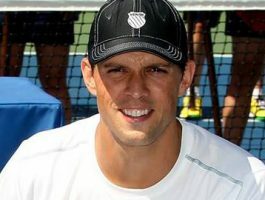 Tennis champion Mike Bryan has won 120 titles throughout his entire career to date. Currently ranked first in doubles worldwide by ATP, he scored his 18th Grand Slam doubles title at the U.S. Open in September, 2018. This three-time Olympic medalist owns the record for the most Grand Slam doubles titles. He also holds the record for most titles as a team with his identical twin brother and tennis partner, Bob. As a team, they became the only duo in the Open Era to win each Grand Slam title at least twice. Bryan won the NCAA Doubles title for Stanford University in 1998. He is an Ambassador for TeachAids. 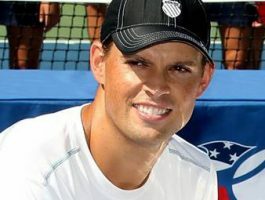 Tennis champion and Olympic Gold Medalist, Bob Bryan is one of the best doubles players the world has ever seen. Bryan won 116 titles throughout his career, including 16 Grand Slam championships. Bryan has spent 439 weeks at the top doubles ranking alongside his twin brother and tennis partner, Mike. No other team has won four successive Grand Slams and the Olympic Gold Medal, or been voted Fans Favorite Doubles Team every year the ATP award has existed. They have been the #1 team in the world a record setting 10 times. Bryan won the NCAA Singles and Doubles title for Stanford University in 1998. He is an Ambassador for TeachAids. 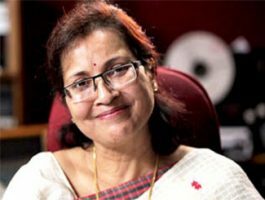 Anu Choudhury, having starred in more than 50 films across Odia and Bengali cinema, is a leading actress in multiple genres. Choudhury was exposed to cinema from an early age and played child roles in several films. 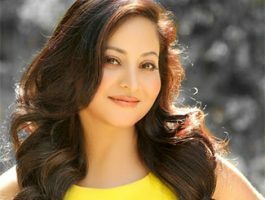 After graduation from university in 1998, Choudhury debuted as the leading actress in Maa Gojabayani, for which she received critical acclaim and commercial success. Since then, Choudhury has become a four-time winner of the Odisha State Film Award for Best Actress. Anu Choudhury plays the energetic female student in the Odia version of the TeachAids tutorials. 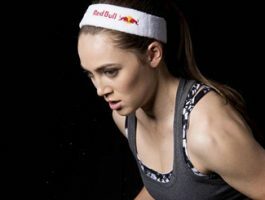 Kate Courtney, a world class mountain biker, became the first American woman to win a UCI Mountain Bike World Cup in the Junior category. She is a 12 time National Champion and is the current Women’s Elite Cross Country National Champion. In 2017, she also won four U23 World Cups and earned the U23 Overall World Cup victory. Outside of cycling, Kate is a recent graduate from Stanford University with a Bachelors in Human Biology. Since graduating, Kate turned her focus fully to her career as a professional athlete, targeting the 2018 World Cup series and setting her sights on the 2020 Olympics in Tokyo. Kate Courtney is an Ambassador of TeachAids. 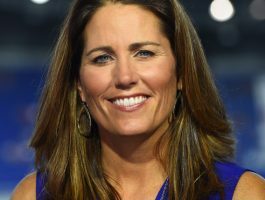 Julie Foudy played for the USA National Team for 17 years, serving as a captain for 13. Foudy won two out of the four World Cups she played in, and earned gold medals in two of three Olympic Games. Her 273 international appearances for the USA ranks fourth worldwide of all-time for both male and female soccer players, and she was inducted in the U.S. National Soccer Hall of Fame in 2007. Off the field, she served the Women’s Sports Foundation as President and as an advocacy consultant on issues like athletes’ rights. Foudy received the FIFA Fair Play Award for her efforts against child labor, and currently acts as a board member of the nonprofit Athletes for Hope. Julie is currently a reporter and analyst for ESPN/ABC and an Ambassador for TeachAids. 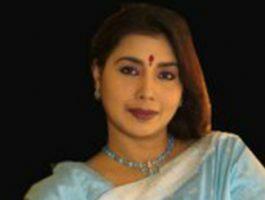 Malaya Goswami, award-winning actress, director, and radio personality, has starred in over 30 stage productions, directed several performances, was showcased in over 40 radio plays, and played the lead in several award-winning films. Goswami is the first Assamese actress to win the National Film Award for Best Actress. She is involved in Arptia, a socio-cultural organization founded by Goswami to help women and children in distress. She is also an Associate Professor in the Department of Education at Jagiroad College. Malaya Goswami has given her talents as the voice of the female doctor in the Assamese version of the TeachAids animations. Shruti Haasan is a singer-turned-actress, an accomplished songwriter, composer, model, and is the daughter of award-winning actors Kamal Haasan and Sarika. Haasan has served as a vocal artist for several films, including Hey Ram, En Mana Vaanil, Vaaranam Aaayiram, and Luck. Haasan also wrote, composed, and performed the soundtrack for the film Unnaipol Oruvan. She has won awards for Best Debut-Female at the 59th Filmfare Awards and Best Actress at the 60th Filmfare Awards. Shruti Haasan donated her voice to the role of the female student in the Indian English, Hindi and Tamil versions of the TeachAids software. Oratile Jazzelle Kebakile, celebrated radio personality and known popularly as Jazzelle, hosts “The Gabz fm Sunrise” weekday mornings with seasoned journalist Thebe Mogapi. Gabz fm is a contemporary radio station that broadcasts nationally across Botswana and is available worldwide. Trained as a Public Relations Practitioner, she has worked with some of Southern Africa’s most well respected organizations, including ESPAfrika (The Cape Town International Jazz Festival), Hotwire PRC, TBWA/Medcom and OP Advertising. 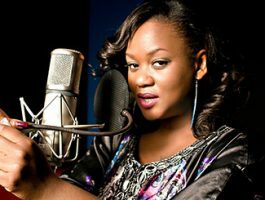 Jazzelle has emceed a variety of high profile events including the 2009 Coca Cola World Cup Trophy Tour. Jazzelle has gifted her voice to the role of the female doctor character in the Botswana TeachAids animations. Imran Khan, beloved Bollywood actor, has won multiple awards including the Filmfare Award for Best Male Debut in 2009. He later took the lead in 10 more films, with romantic comedies such as I Hate Luv Storys and Ek Main Aur Ekk Tu as well as the notorious darker comedy Delhi Belly. Khan is known in the movie industry for his passionate commitment to improve social welfare, speaking publicly about issues such as animal welfare, LGBT rights, and women’s rights, amongst others. 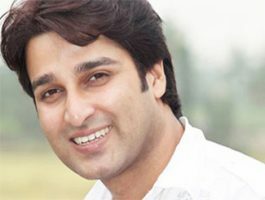 Imran Khan donated his voice to the role of the male student in the Indian English and Hindi versions of the TeachAids software. 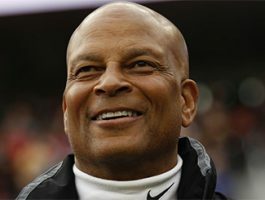 Ronnie Lott is a former NFL Player, 2000 Pro Football Hall of Fame inductee, and four-time Super Bowl Champion. He is one of the most accomplished football safeties of all time and played fourteen seasons with the league. He holds a number of awards, including All-Pro eight times, All-AFC once, and All-NFC six times. Lott played for the University of Southern California and was honored as a consensus All-American. In 1995, he was inducted into to the USC Athletic Hall of Fame. By founding All Stars Helping Kids, Lott made a commitment to giving back to his community by supporting disadvantaged youth in the Bay Area and across the nation. He is an Athletic Advisor and Ambassador of TeachAids. 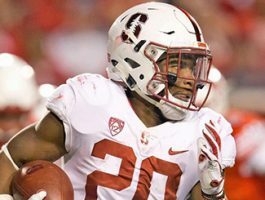 Bryce Love is a running back for the Stanford University football team. As a junior, he was named a unanimous All-American and was a finalist for the Heisman Trophy. Bryce received many other accolades including the Doak Walker Award, Pac-12 Offensive Player of the Year, and the Lombardi Award, given to the top Division I football player based on performance, leadership, character and resilience. He was a dual-sport athlete in high school in Raleigh, N.C., competing in both football and track and field. Bryce is majoring in Human Biology with the hope of becoming a doctor following his football career. Bryce Love is the star of the CrashCourse curriculum and is an Ambassador of TeachAids. 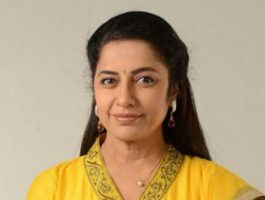 Suhasini Maniratnam is one of the most influential Indian actresses of her time. She won the National Film Award for Best Actress and five Filmfare Awards for Best Actress for various roles. She has won best actress at the Nandi Awards, Kerala State Film Awards, and Filmfare Awards. Suhasini wrote and directed the film Indira, which won two Tamil Nadu State Film Awards. She runs the Naam Foundation to support underprivileged single women. She is also the niece of celebrated actor Kamal Hassan and is married to the legendary filmmaker Mani Ratnam. Suhasini Maniratnam plays the role of the female doctor in the Kannada version of the TeachAids animations. Thato Maruping, known better by her hip-hop stage name Tref, is one of Botswana’s rising Motswako stars, and one of only a few females embracing that genre. At 22, she signed with her second record company Hail Earth Records. 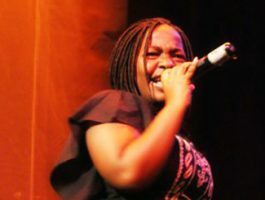 She collaborated with three established hip-hop artists — Kast, Scar and Zeus — to release the first ever HIV/AIDS oriented rap compilation in Botswana. The artists each worked on individual songs based on personal life experiences and issues affecting society. Tref donated her voice to the role of the female student in the Botswana English and Setswana TeachAids animations. 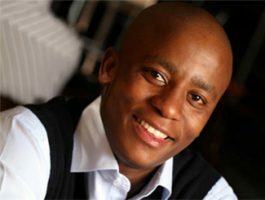 Thato Matlhabaphiri, known as by his hip-hop stage name Scar, is a native to Botswana. 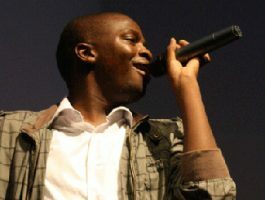 Scar’s music has dominated the Botswana hip-hop industry and received two awards at the annual Botswana Hip Hop Music Awards for Lyricist of the Year and Track of the Year. He also has his own morning radio show reaching thousands of youth across the country. Scar won the Channel O Music Video Awards for Best Hip Hop Video and has guest starred in productions like Big Brother Africa, the Annual Miss Botswana pageant, and the 2009 Road to MTV Africa Music Awardsin Kenya. Scar donated his voice to the role of the male doctor in the Botswana English and Setswana TeachAids animations. 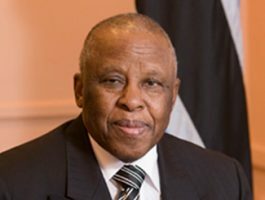 His Excellency Festus Mogae was President of Botswana from 1998 to 2008. Through his leadership, Botswana experienced steady economic growth that characterized its post-independence history. President Mogae has won international praise for his indelible efforts to combat the HIV/AIDS epidemic in Botswana. He is credited as one of the first heads of state in the world to get publicly tested for HIV. Under his administration, Botswana became the first country in Africa to provide free anti-retroviral therapy to citizens most in need. President Mogae has received a number of international awards, including the 2008 Mo Ibrahim Prize for Achievement in African Leadership and the Grand Cross of the Legion d’honneur by former French President Nicolas Sarkozy. He is an Advisor and Ambassador of TeachAids. Aruna Mohanty is an instructor of dance and an influential leader at the Orissa Dance Academy. Mohanty is considered one of the pioneers in the field and she is well known for her devotion, perseverance, and commitment to dance. She was awarded a fellowship by the national government’s Ministry of Human Resource Development for her contribution to the field of Odissi Dance. In 2010, she was presented the Central Sangeet Natak Akademi Award by the Government of India. Aruna Mohanty plays the character of the female doctor in the Odia version of the TeachAids software. Phurbu T. Namgyal, acclaimed singer and songwriter, has composed more than 100 songs, released 11 different albums, and collaborated with musicians in Tibet, India, the United States and Bhutan. He won the award for Best Tibetan Music Album of the Year for two different albums. Namgyal is the founder of The Om Charity, which provides medical support and health insurance for disenfranchised Tibetans in India; and recently established the Dhumra project to protect and promote the heritage of Tibetan language, art and childrens’ songs. Namgyal has lent his voice and likeness to the inquisitive student character in the Tibetan version of the TeachAids software. Prashanta Nanda, in addition to his former positions as Minister of Education and Minister of State of Odisha, has played a key role in the Odia film industry as an actor, director, screenplay writer, lyricist, and playback singer. He won the award for Best Actor through India’s National Film Award for his debut role in Nua Bou and brought Odia films into the national spotlight by winning the National Film Awards twice. He now serves as a member of the legislative assembly as part of the ruling Biju Janata Dal party Prashanta. Nanda donated his voice as the male doctor in the Odia version of the TeachAids animations. 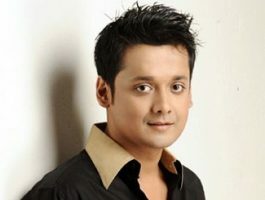 Akash Das Nayak is well known for his dynamic acting skills and charisma on the silver screen. Nephew of veteran film actress Anita Dash, Nayak made his film debut in the movie Kalinga Putra in 2008. His performance garnered him commercial and critical acclaim. For his role as an honest police officer, Akash received the State Award for Best Actor, a commendable achievement for a debut performance. In 2012, he was bestowed with the Harekrushna Mahtab Award from the honorable Governor of Odisha. Akash Das Nayak plays the character of the male student in the Odia version of the TeachAids animations. 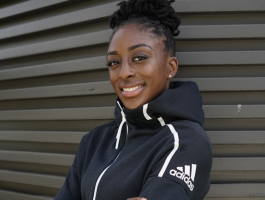 Nneka Ogwumike is a forward for the Los Angeles Sparks. With six years of experience on the Sparks, she was named to the WNBA All-Star team four times and All-WNBA Team three times. After being drafted No. 1 by the Sparks in 2012, Ogwumike was the WNBA Rookie of the Year. In 2016 she led her team to a WNBA Championship and was named the Most Valuable Player in the league. She recently represented the USA on a 12-woman roster that won the FIBA Women’s Basketball World Cup in Spain. At Stanford, she was the second all-time leading scorer, and she led her team to four Final Four appearances. Nneka is an Ambassador to TeachAids. 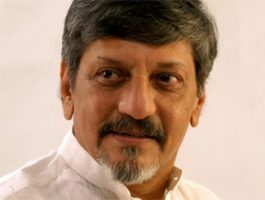 Amol Palekar, a renowned Indian actor, filmmaker, painter, and theater practitioner, is known for his creative contributions to the fine arts and performing arts. His film Daayra (The Square Circle) was selected as part of the “top 10 best films of the world” in 1996 by TIME magazine. His film Paheli (The Riddle) was India’s official 2006 entry for the Best Foreign Film category at the 78th Academy Awards. Palekar and his wife, Sandhya Gokhale, a committed lawyer and a renowned scriptwriter, generously donated their expertise and insights to the development of the Marathi animation script. Palekar plays the role of the male doctor in the Marathi TeachAids animations. Navdeep Pallapollu has appeared in over 20 films. The Telugu and Tamil film industry’s “heartthrob”, he made his film debut in the 2004 Telugu romantic film Jai. Following this, he starred in a Tamil national blockbuster, Arinthum Arvamalum, alongside award-winning actor Prakash Raj and music director Yuvan Shankar Raja. His 2005 film Gowtam SSC garnered the Kamsya (Bronze) Nandi Award for Best Feature Film. He has since gone on to star in films such as Aegan, Arya 2, Oh My Friend, Baadshah, and Bangaru Kodipetta, where he stars alongside fellow TeachAids Telugu icon Swati. Pallapollu gifted his voice to the role of the male student in the Telugu TeachAids animations. 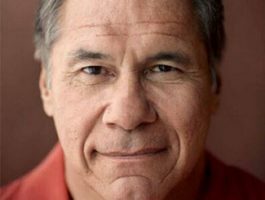 Jim Plunkett is a former NFL player, with sixteen seasons as a quarterback. Plunkett led the Oakland Raiders to two Super Bowl victories. Plunkett was selected by the New England Patriots as the first overall pick in the 1971 NFL Draft and also played for the San Francisco 49ers. Plunkett was named MVP at Super Bowl XV. He is a Heisman Trophy winner, playing for Stanford University. Plunkett received the Maxwell Award for the nation’s best player and was named player of the year by United Press International, The Sporting News, and SPORT magazine. He is an Athletic Advisor and Ambassador of TeachAids. Anu Prabhakar has starred in numerous hit films. Her work has been recognized with a Cinema Express Award for Best Actress as well as a two-time winner of the Karnataka State Film Award for Best Actress for her performances in Shaapa and Pareekshe. Prabhakar has also been honored by Bangalore’s Kolada Math with the title of ‘Abhinaya Saraswathi’. She is the daughter of noted actress and dubbing artist, Gayathri Prabhakar, and the daughter-in-law of legendary South Indian actress, Jayanthi. Prabhakar has been recognized as one of India’s top 100 beautiful women. Anu Prabhakar has donated her talent toward the female student in the Kannada version of the TeachAids animations. Vijay Raghavendra, celebrated Kannada actor, is son of renowned producer S. A. Chinne Gowda, related to the legendary Rajkumar, and cousin of industry icons Shivrajkumar, Raghavendra Rajkumar, and Puneeth Rajkumar. He earned a National Film Award for Best Child Artist for his performance in Kotreshi Kanasu. The film went on to win the National Film Award for Best Feature Film in Kannada. Since then, Raghavendra has transitioned into lead roles in several films and has produced over 30 movies. His performances have garnered incredible success in films such as Kallarali Hoovagi, Rishi, Karanji, and Snehitaru, amongst others. Vijay Raghavendra joins TeachAids as the male student in the Kannada version of the TeachAids software. Dr. Tsetan Dorji Sadutshang has served as Personal Physician to His Holiness the 14th Dalai Lama since 1988. In addition to these duties, Dr. Sadutshang serves as the Chief Medical Officer of the prestigious Delek Hospital in Dharamsala, India. After obtaining medical degrees at the universities of Chennai and Wales, Dr. Sadutshang received a Master of Public Health at Harvard University on a Fulbright Scholarship. Dr. Sadutshang is a founding board member of the Central Council of Traditional Medicine and a board member of the Tibet Charity. 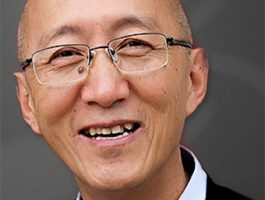 He has generously donated his voice and likeness to the role of the sage male doctor in the Tibetan version of the TeachAids software. Pranjal Saikia is one of the most influential actors, directors, and producers in the state. He has starred in more than 30 films, 25 television shows, 98 theatrical productions, and more than 70 audio plays. Additionally, Saikia has been selected as an ambassador for peace by the Universal Peace Federation. In 2008, Saikia won a Lifetime Achievement Award from Gurukul Sangeet Nritya Kala Kendra University. Currently, he is a member of the Assam State Commission for the Protection of Child Rights and continues to work in stage plays, films, radio, and television. Pranjal Saikia donated his voice to the role of the male doctor in the Assamese version of the TeachAids tutorials. Anushka Shetty, Telugu and Tamil actress, has been performing in films since 2005. In 2009, she played the title character in the blockbuster hit Arundhati, for which she won several accolades including the Filmfare Award for Best Actress – Telugu, the Nandi Special Jury Award, and the CineMAA Award for Best Actress (Jury). Shetty has continued to win Best Actress awards for her roles in films such as Vettaikaaran, Vedham, Deiva Thirumagal, and Dhamarukam. A beloved public figure, she has been recognized with the Kalaimamani Awardfrom the Tamil Nadu state government. 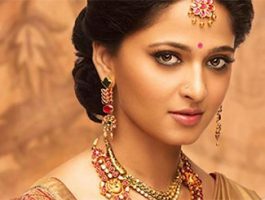 Anushka Shetty plays the role of the erudite female doctor in the Telugu and Tamil versions of the TeachAids animations. Siddharth, Indian actor, producer, writer, and playback singer, got his start in the film industry as the assistant director to Mani Ratnam on the film Kannathil Muthamittal. He received the Filmfare Best Actor Award – Telugu. He received the Star Screen Debut Award for his performance in Rang De Basanti. He has previously worked on the short film Blood Brothers which was a collaboration of Bollywood director, Vishal Bhardwaj, and Oscar-winning cinematographer, Guillermo Navarro, and was showcased at the Toronto International Film Festival in 2007. Siddharth brings charisma to the role of the curious male student in the Tamil language version of the TeachAids tutorials. Maggie Steffens was a member of the Stanford University water polo team from 2013-2017. Steffens led the team to 3 NCAA championships. She was MVP of the Championships in both 2015 and 2017. 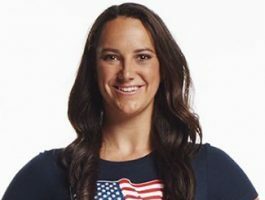 As a member of the United States national team, she has won two Olympic gold medals, two world championships, two Pan-Am Games titles and two World Cups. Maggie was named the Swimming World’s Women’s Water Polo Player of the Year for 2017. Maggie received her undergrad degree in Science, Technology, and Society, and is pursuing a Masters in Management, Science, and Engineering, while also continuing to compete professionally in water polo. Maggie Steffens is an Ambassador of TeachAids. Sudeep is a celebrated actor, director, producer, writer, and singer. He is best known for his roles in Kannada films such as Sparsha, Huchcha, and Mussanje Maatu in his earlier years and Veera Madakari, Just Math Mathalli, Only Vishnuvardhana, and Eega more recently. Three years in a row, he won the acclaimed Filmfare Award for Best Actor – Kannada. He has also been recognized with the Karnataka State Award for Best Actor. More recently, he won several awards including Best Supporting Actor – Telugu at the 60th Filmfare Awards for his role in Eega. Sudeep gifted his voice to the role of the wise male doctor in the Kannada version of the TeachAids animations. Suriya is one of the most celebrated actors in India and one of the most recognized names in Tamil cinema. The son of noted actor Sivakumar, he has gone on to become a three-time winner for both the Tamil Nadu State Film Award and the Filmfare Awards South. In 2013, he won the award for Best Actor in Tamil at the 60th Filmfare Awards. Aside from acting, Suriya has produced several films and in 2008, he started the Agaram Foundation, philanthropic organization that funds efforts to help children who drop out of school in Tamil Nadu. Suriya plays the role of the male doctor in the Tamil version of the TeachAids software. Swati is a widely recognized South Indian youth actress. She starred as a TV anchor on the popular Telugu television show “Colours” and made her film debut in 2006 in the Telugu film Danger. She is best known for her performance in the Subramaniyapuram, for which she was nominated for the 2008 Filmfare Best Tamil Actress Award. She won the Filmfare Best Telugu Actress Award and the Nandi Award for Best Actress. In 2011, she recorded songs for her films Katha Screenplay Darshakatvam Appalaraju and 100% Love. Popular among Indian youth, Swati plays the role of the female student in the Telugu version of the TeachAids animations. 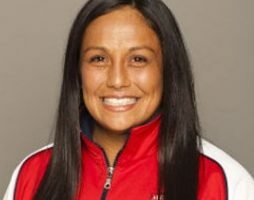 Brenda Villa is the most decorated female athlete in the world of water polo. She was the captain of the 2012 Olympic Team that brought home the Gold Medal and the 2008 Team that brought home Silver. Villa was also part of the Bronze and Silver medal Olympic teams in 2004 and 2000. FINA Magazine named her the Water Polo Player of the Decade (2000-2010). At Stanford, Villa led her team to an NCAA Championship and was named Division I Water Polo Player of the Year in 2001. Brenda is an Ambassador for TeachAids. Zerifa Wahid is an eminent actress across film, theater, and television. She has also launched her own production company, Zerifa Wahid Productions. 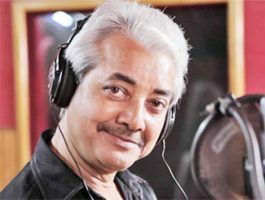 Wahid had numerous lead roles in films, television series, and stage plays and received national acclaim, garnering the National Film Award for Best Feature Film in Assamese and Best Indian Film at the Bengaluru International Film Festival. Additionally, she has received Best Actress by the Government of Assam for her performance in the film Agnisakshi. Wahid is also a practicing lawyer in the Gauhati High Court. Zerifa Wahid donated her voice for the role of the female student in the Assamese version of the TeachAids animations. 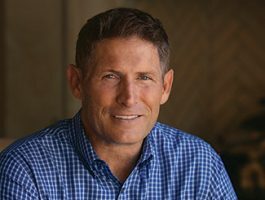 Steve Young is a former professional football quarterback. He played 15 seasons in the NFL, including with the San Francisco 49ers and previously for the Tampa Bay Buccaneers and the Los Angeles Express of the United States Football League. Steve Young was named the AP’s NFL Most Valuable Player in 1992 and 1994, the MVP of Super Bowl XXIX, and is a three-time Super Bowl Champion. He is a member of both the College Football Hall of Fame and the Pro Football Hall of Fame. Young remains connected to the sport, serving as a Monday Night Football analyst for ESPN and doubles as a successful businessman with his private equity company. He is an Athletic Advisor and Ambassador of TeachAids.